Unifor President Jerry Dias was back in the Motor City to meet with United Auto Workers Union officials. They are forging a partnership to combat General Motors and its plans to close 5 assembly plants and layoff thousands of workers this year. DETROIT (WXYZ) — Unifor President Jerry Dias was back in the Motor City to meet with United Auto Workers Union officials. They are forging a partnership to combat General Motors and its plans to close 5 assembly plants and layoff thousands of workers this year. 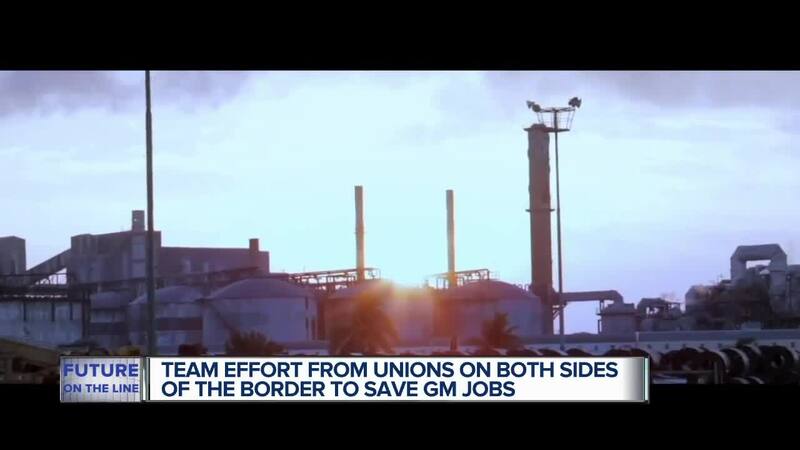 Unifor has been running TV ads in Canada that point out GM is expanding in Mexico while making cuts in the US and Canada. Autoline Analyst John McElroy says this partnership can be effective and General Motors should take notice. GM has said it needs to cut back operations to remain profitable and is helping workers find new jobs within and outside of the company. One plant is set to close next month in Lordstown, Ohio. The GM Oshawa, Ontario plant is set to close by the end of this year. 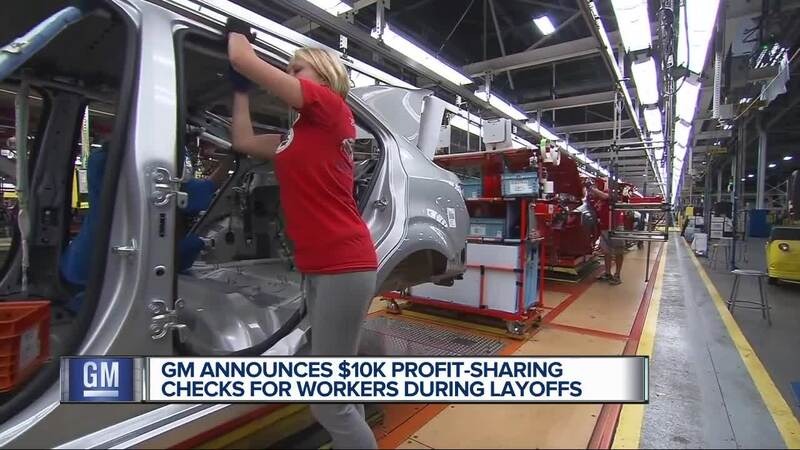 GM announced yesterday that hourly workers will get record profit sharing checks of $10,750. Ford workers will get $7,600 and Fiat Chrysler workers $6,000. These are part of the UAW contract. McElroy says GM has 18 assembly plants when it only needs 14. Neither side would discuss the strategy they might use in a joint campaign against GM. As is our common practice, as Presidents of the UAW and Unifor we met with UAW-GM Vice President Terry Dittes last night for dinner, and again this morning, to discuss joint issues involving International Trade, International Unions and common issues related to our unions. This has been a common practice and as you know we are united in our history. Unifor and the UAW are and always have been committed to act in solidarity on behalf of our members and working families in Canada and the United States. United we are stronger. And we remain united through our shared goals and heritage whether from this latest challenge with GM or in future challenges.